“I may not agree with what you say, but will defend to the death, your right to say it”. In India, there is no law guaranteeing freedom of the press or media. The general right to freedom of speech and expression granted under Article 19(1)(a) to any ordinary citizen is what shelters the Press too. Unlike, however, the First Amendment of the USA, which expressly prohibits any restriction on free speech, this freedom under Article 19(1)(a) is subject to certain restrictions mentioned in Article 19(2). Article 19(2) protects existing laws, and further empowers the State to enact any law, restricting the right to freedom of speech and expression granted under Article 19(1)(a) in the interests of sovereignty and integrity of India, the security of the State, friendly relations with foreign States, public order, decency or morality or in relation to contempt of court, defamation or incitement to an offence. From a reading of Article 19(2), it is clear that any restriction on the right to freedom of speech and expression can only be through the legislative process and not through executive action. We are not new to political vendetta in India. Arm-twisting of the fourth estate has happened before and will probably continue in future too. Any totalitarian regime is uncomfortable with a free press. In the Bennett Coleman case itself, the Newsprint Policy of 1972-73 was sought to be defended by the then Congress Government under Indira Gandhi as a permissible restriction when the emergency under Article 358 was in force and fundamental rights were suspended. The Supreme Court rejected this contention holding that Article 358 did not apply to laws passed prior to the proclamation of emergency and that the Newsprint Policy 1972-73 was a continuation of the previous policy of 1971-72. What is notable is that, at least the fig leaf of legislative power was used to defend the attack on the freedom of the press. 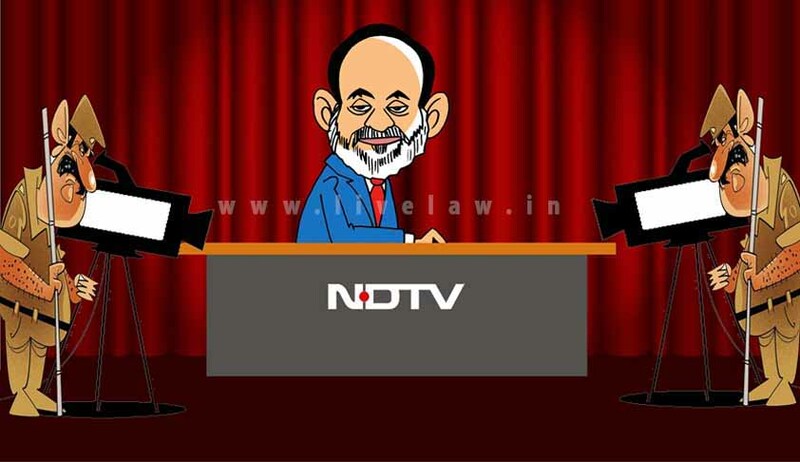 But in the NDTV case, this fig leaf has been discarded in favour of naked aggression. It is not to say that wrong-doers should be let off just because they represent the fourth estate. But, howsoever legally correct it might be, State action should also stand the test of political propriety and good faith, lest it be said that the State is abusing its powers to silence its political opponents. Electoral successes should not allow a ruling party to dispense with the need for legitimacy or political correctness in its executive actions. It is sad that the freedom of speech guaranteed under the Constitution to the citizens is being substituted by the State’s right to freedom of intimidation. What it spells for the future of democratic India, time alone will tell. AJ Jawad is a practicing Lawyer and Mediator at Madras High Court.